Learn the secret techniques you can use today to land one of these highly-coveted pharmaceutical sales jobs. We can help you by giving you invaluable information on how to land a career in pharmaceutical sales with our amazing eBooks, writing your professional pharmaceutical sales resume, and even coaching you on how to ace the interview! Our industry experts offer an exclusive and comprehensive package to help you become a pharmaceutical sales rep. No other website devoted to helping candidates get in to pharmaceutical sales offers two incredible eBooks with instant access, in-house pharmaceutical sales resume writing, resume critiquing, complimented with live interview coaching. To share this valuable information, we wrote an eBook entitled, "Launch Your Pharmaceutical Sales Career Today!" The content includes everything we know about pharmaceutical sales resume writing, interviewing, networking, pharmaceutical selling, and much, much more. We have included secret techniques that only a handful of people even know about. 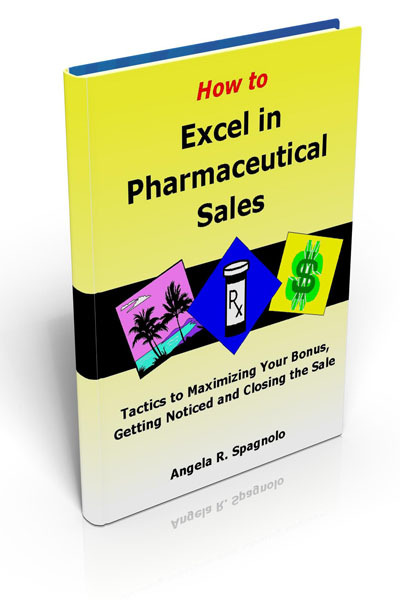 You can also benefit from the 2nd eBook we wrote, "How to Excel in Pharmaceutical Sales." Candidates still seeking a job can take their preparation to the highest level by reading this eBook. You will gain a thorough understanding of the pharmaceutical sales industry and how to get noticed. You will get a real life look at what a pharmaceutical sales representative does every day. Launch Your Pharmaceutical Sales Career Today! "Launch Your Pharmaceutical Sales Career Today!" is a 181-page fully revised and expanded third edition eBook and is packed with very practical and actionable information that has spelled success for thousands of people searching for pharmaceutical sales jobs. This eBook contains 59 realistic interview questions and answers with specific pharmaceutical sales questions and also includes questions for you to ask the hiring manager. "Launch Your Pharmaceutical Sales Career Today!" also contains proven pharmaceutical sales resume and cover letter samples, must-have qualifications that hiring managers are really looking for, and secret interview techniques that will greatly increase your chances of landing a career in pharmaceutical sales. "How to Excel in Pharmaceutical Sales" is a 65-page eBook that will help candidates who are seeking a pharmaceutical sales job take their preparation to the highest level. 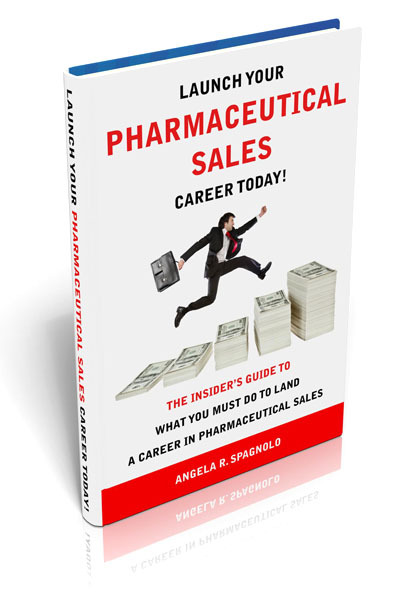 This eBook can also greatly increase your bonus payout and career advancement by giving you the insider knowledge of what it takes to be a PRO at Pharmaceutical Selling. You will gain a thorough understanding of the pharmaceutical sales industry and how to get noticed. You will get a real life look at what a pharmaceutical sales representative does every day. Some candidates don't precisely know what a pharmaceutical sales representative does on a daily basis. You can WOW the hiring manager with your knowledge of real-world pharmaceutical selling, managed care, scientific selling, and tactics for rapport building. This eBook goes through an example detailing of a doctor that can easily be used if you're asked to role play with a hiring manager during an interview. Let us turn your ordinary and dull resume into a "knock their socks off" Pharmaceutical Sales Resume. Our professional and experienced Pharmaceutical Sales Resume writing staff will take your resume and turn it into a professional marketing tool that best demonstrates your abilities and strengths. Your resume will be tailored to a Pharmaceutical Sales position by using everything we know about you and the industry and what a hiring manger is looking for in a candidate. We are the first website to offer a comprehensive approach consisting of two extremely informative eBooks, Pharmaceutical Sales Resume Writing Services, and Interview Coaching for candidates wishing to maximize their marketability and achieve a career in the pharmaceutical sales industry. Your resume needs to stand out among the competition. Imagine yourself as a hiring manager with 100 resumes from 100 qualified applicants. How would you narrow the playing field to a couple of resumes? You can't interview all 100 applicants. The solution is to carefully scrutinize each resume and eliminate resumes with any flaws or inconsistencies. When writing your pharmaceutical sales resume we will make sure that your most marketable skills stand out and we'll give you the best chance you can have to get the interview. It is unfortunate but this is why so many poorly written pharmaceutical sales resumes end up in the waste basket and so many people can't seem to get that coveted interview. Does your resume look 100% professional? Not only does your resume have to contain the correct keywords and skills, but it also needs to look polished and professional in order to get noticed. After we're done with your pharmaceutical sales resume, we will deliver a professional looking resume that is a testament to your own professionalism and will easily be noticed by a hiring manager. Check out our Special Package Offer page for current specials and save $100 today. Click here for details. We are the only website devoted to aspiring pharmaceutical sales representatives to offer an over-the-phone mock interview and pharmaceutical sales interview coaching session to really help you ace the interview. You will get the opportunity to practice answering real-world behavioral, situational, and psychological-based questions that you are guaranteed to encounter in your interview. You will receive honest feedback and coaching as well as innovative tactics that will absolutely make the difference. Find out what it really takes to ace a Pharmaceutical Sales interview by speaking LIVE with one of our professionals. This live interview and consultation provides an opportunity to practice and polish your interviewing skills with a Pharmaceutical Sales Specialist. A member of our professional staff will help you sell yourself in the interview and differentiate yourself from other candidates hungry for the position. Whether you have an interview coming up and need some last minute pointers or you want to learn more about this industry and have questions, this interview service is for you. Get the inside scoop on the Pharmaceutical Sales interview agenda and the hidden agenda. Did you know that if you turned down a soft drink and minutes later when asked again, accept one, you could give the impression of indecisiveness and ruin your chances of advancing in the interview process? It is little things like this that can make or break an interview and we'll let you know about all the secrets to ace the interview. Are you new to pharmaceutical sales? Are you familiar with the pharmaceutical sales process? This service also provides an opportunity to sell on command and have your selling skills critiqued by one of our professionals. I applaud you on your initiative and creativity in writing these books. These books are a must read for the person seeking a career in pharmaceutical sales. The information was comprehensive, which included creative networking tips and even a section on fluency with clinical reprints -- that was good. Great job. The resume looks fantastic -- this is the best resume I've ever had. In the past I've hired people to write my resume but always ended up going back to my own version. The cover letter is great too. I couldn't be happier with your work. Thank you. I just wanted to say thanks. Your first book was wonderful. It helped me to secure a position with one of the top pharmaceutical companies in the industry. I will recommend this book to anyone who might be looking to get into the pharmaceutical industry. Thanks again. Thank you so much. This was so worth the money. I just got hired as a pharmaceutical sales rep and I truly believe that my new resume opened the door for me. You really helped to build my confidence in an interview. Thank you for all the great coaching and helping me answer the tough questions you asked. Thanks.